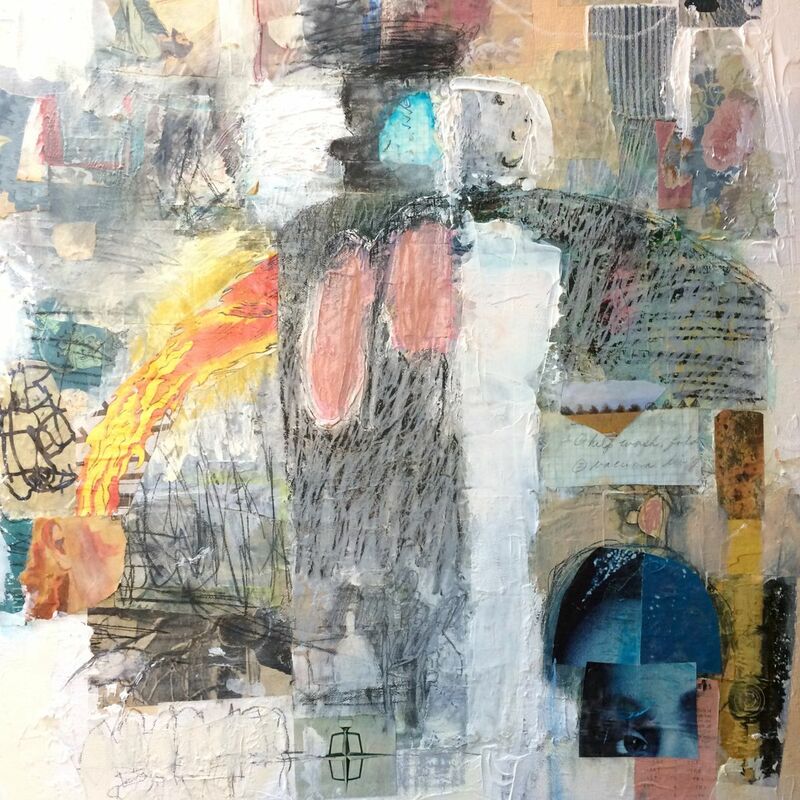 Patti Robinson is an artist working with repurposed materials in many different forms, including collage, mixed media, fashion, sculpture, and design.She received a BFA in Art and Art History from Arcadia University. Her biggest inspiration was working with Elisabeth Cornell Benton to catalog Joseph Cornell’s source materials before they were shipped to the Smithsonian’s Archives of American Art. Her classes for adults and children always encourage collaboration, spontaneity and innovation. She works with a variety of populations, including as an Artist in Residence in Health Care through The Creative Center, a program sponsored by the National Endowment for the Arts and with The Art Farm, a large children’s camp in Bridgehampton, where she designed each summer’s curriculum and created an innovative recycled design program. She shows her collage and mixed media work in juried shows and recently received Best in Show in the “Art of the Non Dominant Hand the East End Arts Center Gallery. She created collaborative public art projects for New York Maker Faire 2011 - 2013 with thousands of participants. This August she will be creating large-scale collaborative live collage event covering abandoned storefront windows with historic and contemporary images of Main Street in Riverhead through the JumpstART program. Her mixed media design work has been featured in Cloth Paper Scissors magazine, Treehugger.com, Recylart.com, Makezine.com and in the storefront windows of Donna Karan’s Urban Zen boutique.